UPDATE: Hi, Reddit! 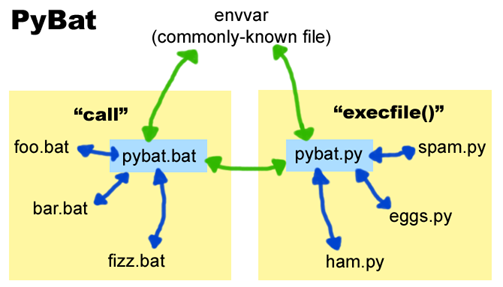 I just wanted to clear this up: PyBat is about solving a somewhat specific problem: allowing Python scripts and batch files to communicate environment variable changes. This is in the case where you have a ton of legacy batch files that you cannot (for whatever reason) outright replace (which may or may not be the best thing to do in your case). I understand that everyone has their favorite scripting language (and for nontrivial tasks, they all sound better than batch files), but this is for situations where you want new Python scripts to work with the old stuff. The rest of the article is simply my rant that using batch files for nontrivial tasks is like working on a fusion reactor with a stone ax. Thanks for reading! Check out the rest of the site! I’ve seen build systems that have accumulated the cruft of undocumented, half-forgotten, it-was-written-by-a-guy-who-no-longer-works-here software that was added piecemeal over time. It wasn’t until I had to do maintenance work on it that I discovered the horrifying truth of batch files. I tried googling for a batch file debugger, but only found pages that give handy “techniques” like printf-style debugging. Yech. Of course I then realized the reason no one would make such a useless, baroque thing is because we already have real scripting languages with real debuggers. Although throwing out a large system of batch files and rewriting them in Python or Perl is tempting, it’s something you should almost never do unless you have a week or two to kill. No problem. Let’s just make all our new code or do piecemeal replacements in Python, and leave the old but still usable batch files around. But you can’t. Because of environment variables. Many of the batch files I’ve seen do nothing but configure settings by changing environment variables (Visual Studio’s vcvars32.bat is an example of this). But any changes made to a child process’s environment will not be seen by the parent process. Batch files calling other batch files get around this with the “call” command. But batch files calling Python scripts (or vice versa) will not be able to see any changes made by the called file. It’s not a flaw at all, it’s a basic, well-designed operating system principle. But it does make adding Python scripts that are backwards compatible with a batch file system impossible. PyBat is almost completely concurrency-safe (there is an astronomically small chance that running multiple instances will conflict, even for high loads), but quite usable as duct tape between Python and batch files. 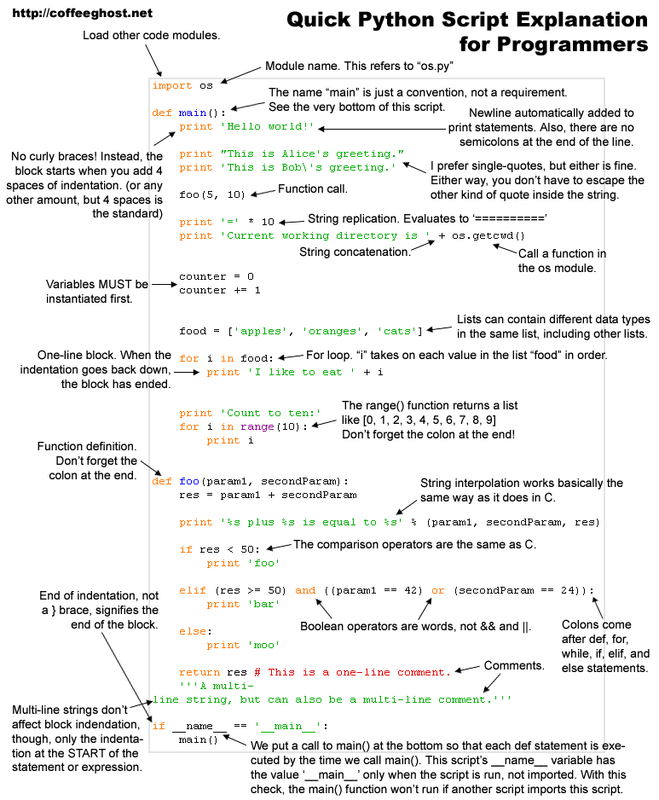 Feel free to download the documentation and code and give it a try yourself, and please send any feedback you have. PyBat is open source, and released under a BSD-style license. 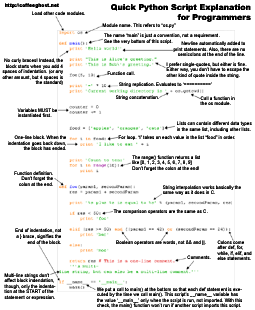 Also, as further incentive to move on to Python, I also have prepared a small Python cheatsheet for programmers and a Python FAQ for batch filer writers to help developers get up to speed with Python.